Thanks to a gift in 2018 from the Trust of Morvarid Guiv, the Morvarid Guiv Graduate Fellowship in Zoroastrian Studies has been established in UCLA’s Pourdavoud Center for the Study of the Iranian World. Named after the late Iranian philanthropist Morvarid Guiv, the fellowship will support graduate students studying the Zoroastrian religion, its ancient history, languages, and scriptures. The gift secured additional matching support from the UCLA Chancellor’s Centennial Scholars Match program. The Zoroastrian religion is one of the oldest monotheistic religions in the world and was the dominant faith of the Iranian World (including Asia Minor and Central Asia) prior to the rise of Islam. The fellowship enables UCLA’s long-established doctoral Program of Iranian Studies to attract and train new generations of experts exploring the many facets of this influential, ancient Iranian religion that continues to thrive today—further reinforcing UCLA as the premier destination for scholars working on ancient Iran. Born in Iran, Morvarid Guiv and her husband Rustam Guiv were successful businesspeople who helped Zoroastrian communities by building schools, low-income residential projects, and Zoroastrian community centers. 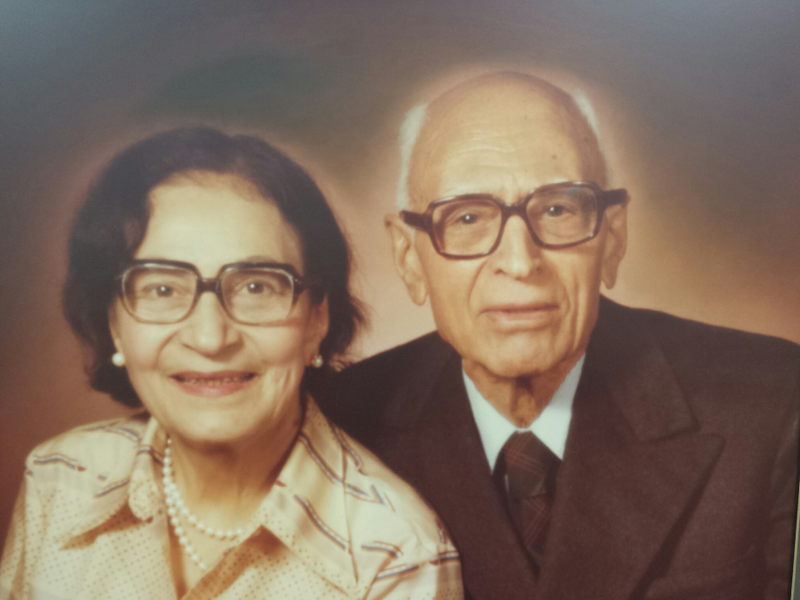 When they immigrated to the U.S., they founded Zoroastrian community centers in the U.S., Canada and Australia. Graduate students awarded the fellowship will benefit from the presence of a strong faculty specializing in ancient Iran and the ancient world at the Department of Near Eastern Languages and Cultures, and from the unparalleled resources of the Pourdavoud Center, the first research institution in the Western hemisphere that aims to advance the knowledge of ancient Iranian languages, history and religions. Named for the late Professor Ebrahim Pourdavoud, a pioneering scholar of ancient Persia, the Pourdavoud Center aims to engage in transformative research on all aspects of Iranian antiquity, including its reception in the medieval and modern periods, by expanding on the traditional domains of Old Iranian studies and promoting cross-cultural and interdisciplinary scholarship. Professor Pourdavoud was the first scholar to translate the Avesta, the Zoroastrian sacred scriptures, into Persian.